What a fun webinar that was today! The recording of today's webinar, Inheritance in Scotland - Wills, Testaments, and Land Records, by Marie Dougan, is now available to view in our webinar archives for a limited time. One viewer wrote, "She was so good that I wished I had Scottish ancestors!" If you could not make it to the live event or just want to watch it again, the 1 hour 30 minute recording of Inheritance in Scotland - Wills, Testaments, and Land Records is now available to view in our webinar archives for a limited time. Visit www.LegacyFamilyTree.com/webinars.asp to watch. Own your own copy of Inheritance in Scotland - Wills, Testaments, and Land Records by purchasing the webinar-on-CD for just $9.95. It includes the complete 1 hour 30 minute recording of the class, 3 pages of handouts, and complete Question/Answer session. Click here for more information or to purchase. The special discount coupon of scotland2 that was announced during the webinar is valid for 10% off anything in our online store through Monday, February 4, 2013. Online Genealogy: The Good, the Bad, and the Ugly by Linda Geiger. February 1. YouTube Your Family History by Devin Ashby. February 6. Next Exit: Your New Jersey Ancestors by Thomas MacEntee. June 19. If you have Scottish ancestry, don't miss Webinar Wednesday presented by Marie Dougan. In "Inheritance in Scotland: Wills, Testaments, and Land Records," Marie will explore these records which are all useful in providing further evidence and documentation for your Scottish ancestors. She will be presenting from Glasgow, Scotland - you'll love her accent! Join us for the live webinar on Wednesday, January 30, 2013 at 2pm Eastern U.S. Register today to reserve your virtual seat. Registration is free but space is limited to the first 1,000 people to join that day. Before joining, please visit www.java.com to ensure you have the latest version of Java which our webinar software requires. When you join, if you receive a message that the webinar is full, you know we've reached the 1,000 limit, so we invite you to view the recording which should be published to the webinar archives within an hour or two of the event's conclusion. Marie Dougan is a professional genealogist based in Scotland who holds a Post Graduate Diploma in Genealogical Studies from the University of Strathclyde in Glasgow. She has been involved in researching genealogy for over 14 years. Marie has an extensive background in education and provides a variety of training courses in genealogy, including the courses she teaches at the University of Strathclyde. She has a particular interest in the applications of technologies to assist in genealogical research. Marie is the owner of Ancestral Consultants which provides a range of professional genealogy services. The recording of today's webinar, Best Internet Resources for East European Genealogy, by Lisa, is now available to view in our webinar archives for a limited time. One viewer described Lisa "like a fantastic genealogical tour guide of all the countries she's describing." Lisa did a terrific job getting us started with online research for these countries and her enthusiasm was contagious. If you have East European ancestors, do not miss this recording. If you could not make it to the live event or just want to watch it again, the 1 hour 30 minute recording of Best Internet Resources for East European Genealogy is now available to view in our webinar archives for a limited time. Visit www.LegacyFamilyTree.com/webinars.asp to watch. Own your own copy of Best Internet Resources for East European Genealogy by purchasing the webinar-on-CD for just $9.95. It includes the complete 1 hour 30 minute recording of the class, 5 pages of handouts, and complete Question/Answer session. Click here for more information or to purchase. The special discount coupon of europe that was announced during the webinar is valid for 10% off anything in our online store through Monday, January 28, 2013. Inheritance in Scotland - Wills, Testaments, and Land Records by Marie Dougan. January 30. With more information coming online and greater access to records, there’s never been a better time to research your Eastern European ancestors. Learn about the best Internet resources for locating records, maps, networking with fellow researchers, and tracking down information abroad. Join us for the live webinar on Wednesday, January 23, 2013 at 2pm Eastern U.S. Register today to reserve your virtual seat. Registration is free but space is limited to the first 1,000 people to join that day. Before joining, please visit www.java.com to ensure you have the latest version of Java which our webinar software requires. When you join, if you receive a message that the webinar is full, you know we've reached the 1,000 limit, so we invite you to view the recording which should be published to the webinar archives within an hour or two of the event's conclusion. Her webinar CDs can be found here. The recording of yesterday's webinar, In the Trenches: Successful On-Site Research, by Marian Pierre-Louis, is now available to view in our webinar archives for a limited time. One viewer described the webinar as a "very useful detailed guide to preparation for a trip to a research facility." Another commented, "this webinar is a must for newcomers, however, regardless of how advanced a researcher you are, you will always learn something new." If you enjoyed the live webinar, you are going to really, really enjoy your 2nd viewing of it in this recording. After the live webinar, Marian re-recorded the first thirty minutes to give you additional on-site research advice, and shortened some of the transportation/food suggestions. If you weren't at the live event - you won't notice a thing - she did a terrific job! Don't miss her 7 pages of syllabus materials on the webinar CD which contain all her on-site research checklists (available in both .pdf and .doc formats). If you could not make it to the live event or just want to watch it again, the 1 hour 35 minute recording of In the Trenches: Successful On-Site Research is now available to view in our webinar archives for a limited time. Visit www.LegacyFamilyTree.com/webinars.asp to watch. Own your own copy of In the Trenches: Successful On-Site Research by purchasing the webinar-on-CD for just $9.95. It includes the complete 1 hour 35 minute recording of the class, 7 pages of handouts, and complete Question/Answer session. Click here for more information or to purchase. The special discount coupon of onsite that was announced during the webinar is valid for 10% off anything in our online store through Monday, January 21, 2013. Best Internet Resources for East European Genealogy by Lisa Alzo. January 23. You've created a great research plan so what happens next? It's time to get out and start visiting libraries, archives and repositories! Join Marian Pierre-Louis as she provides tips for successful on-site visits. Join us for the live webinar on Wednesday, January 16, 2013 at 2pm Eastern U.S. Register today to reserve your virtual seat. Registration is free but space is limited to the first 1,000 people to join that day. Before joining, please visit www.java.com to ensure you have the latest version of Java which our webinar software requires. When you join, if you receive a message that the webinar is full, you know we've reached the 1,000 limit, so we invite you to view the recording which should be published to the webinar archives within an hour or two of the event's conclusion. Marian is actively engaged in social media. You can find her starting conversations on Facebook, Twitter and Google+. She frequently speaks on New England topics including house history research, social media, African American research and a broad range of genealogical topics. She is the author of several blogs including: Marian's Roots & Rambles and The New England House Historian. She is the host of the new Internet radio show, Fieldstone Common. Listen to her each Thursday at www.blogtalkradio.com/FieldstoneCommon. Her website is www.FieldstoneHistoricResearch.com. The Friends of the National Archives-Southeast Region, Inc., are please to sponsor the presentation "Lights, Camera, Action! Turning Your Photos and Movies into a Family Story" with Sandra J. Crowley, on January 8th, 2013. Summary: Sandra will provide an introduction to methods to technology that can be used to tell your family story combining a variety of items such as still photos, video, music, etc. to bring your story to life. Presenter: Sandra Crowley is a popular presenter and genealogist based in the Dallas/Fort Worth area who specializes in using technology for all aspects of family history. As a speaker at RootsTech 2012, her presentation, “Genealogists Go Mobile,” was selected to be streamed live via the Internet. 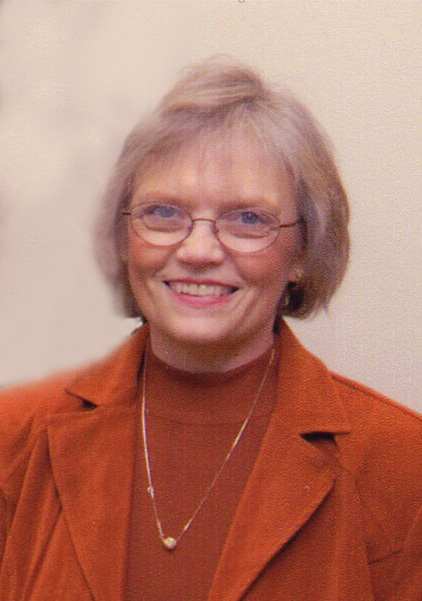 She is Vice President of the Dallas Genealogical Society, Vice President of Membership of the Texas State Genealogical Society, Immediate Past President of the Mid-Cities Genealogical Society in Euless, Texas; and a member of FGS, NGS and several state societies. She is on the Webinar Committee for the North Carolina Genealogical Society, as video editor. Sandra has a B.B.A.degree in management with more than 25 years experience working with technology companies, including as a consultant for Hewlett-Packard. Sandra has taught PowerPoint, Online Genealogy and Family Tree Maker at Tarrant County Community College combining her 20 years of family research with knowledge of technology.